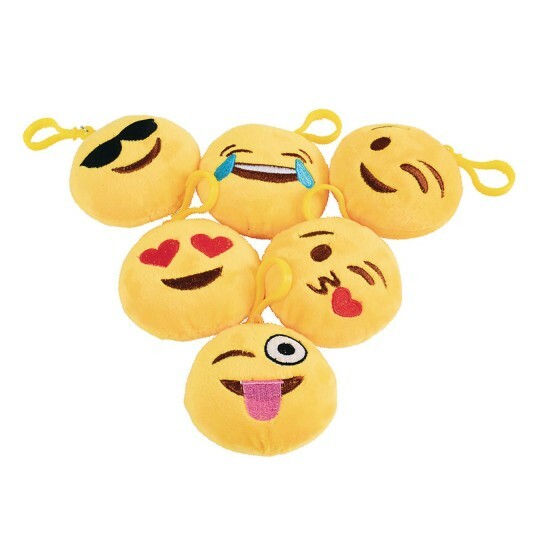 Representing your favorite expressions, these plush smiley faces make for the perfect party favor giveaway at your next event. With the attached clip, they easily slip on your key chain or use them as a backpack pull. Wherever you go, these emojis are happy to follow. Measures 3” in diameter with 6 assorted designs.